Edward A. Olds – Olds Russ Marquette & Peace, LLC. Edward Olds litigates constitutional issues spanning retaliation against public employees, first amendment rights of fraternity members, prisoner rights cases, and voting rights. He has represented women faculty members and students in cases under Title IX including proportionality of opportunities for women to engage in interscholastic sports and sexual harassment of faculty members and students. His practice involving employment cases covers the broad spectrum of hostile work environment, race, gender, and age discrimination, the ADA, ERISA, FLSA, RICO, restrictive covenants, and retaliation. 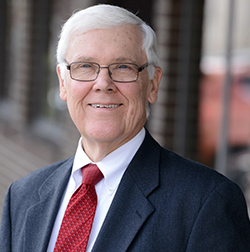 Mr. Olds has been involved in hundreds of federal cases and numerous jury trials and appeals. Many of his clients come to him with employment or educational issues involving their current employer or school. He puts that experience to work for you by providing professional representation aimed at solving clients’ problems.